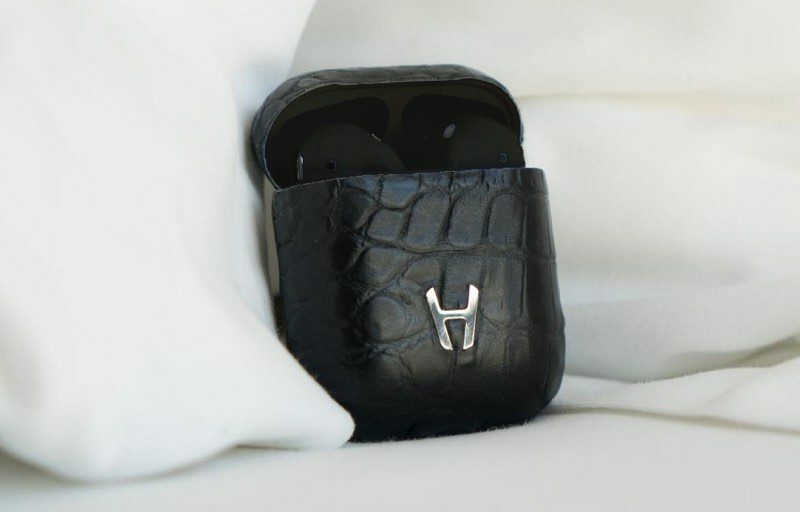 We normally host our giveaways on Friday, but this week, we've teamed up with Hadoro for what may be our most unique giveaway to date -- custom black AirPods with an AirPods Charging Case covered in alligator leather. There are a sea of plain old AirPods out in the wild, but the AirPods with an alligator leather case from Hadoro are like no other AirPods you've seen before. Priced at €590 (~$705) these AirPods are aimed at customers who want to stand out from the crowd and are looking for the most luxurious, high-end AirPods option available for purchase. Each alligator AirPods charging case is made by hand in Besançon, France, using premium grade American alligator leather, chosen for its quality and its attractive pattern. Given the natural variations in alligator leather, each and every charging case is unique. Alligator leather is naturally expensive and scarce as it is a limited resource due to strict conservation principles enforced in the United States to make sure it's sustainably harvested. Like all leathers, alligator leather will develop a patina over time for an attractive, one of a kind look. 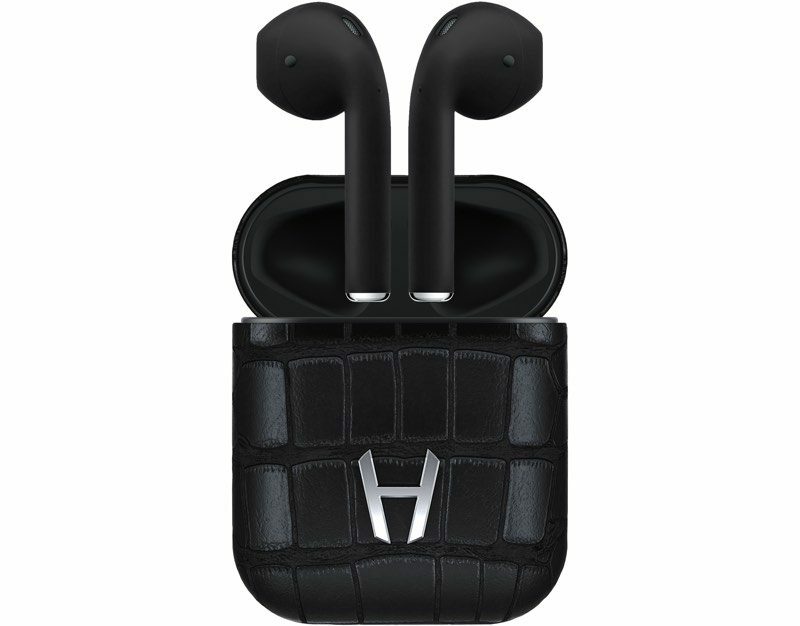 Hadoro's black alligator leather AirPods charging case, which is what we're giving away, comes equipped with custom-painted matte black AirPods, so not only do you get the unique case, you get AirPods in a color no one else has. Hadoro is using a durable black paint that is resistant to scratches and wear and tear. Hadoro also makes alligator leather charging cases in a wide range of other colors, including green, blue, brown, burgundy, red, and navy blue, with these shipping with standard white AirPods inside. Both the AirPods and the AirPods charging case retain full functionality just like standard AirPods you can get from Apple, with a W1 chip for easy pairing, a long battery life, a built-in accelerometer for ear detection, iCloud integration for quick device switching, and gesture support. 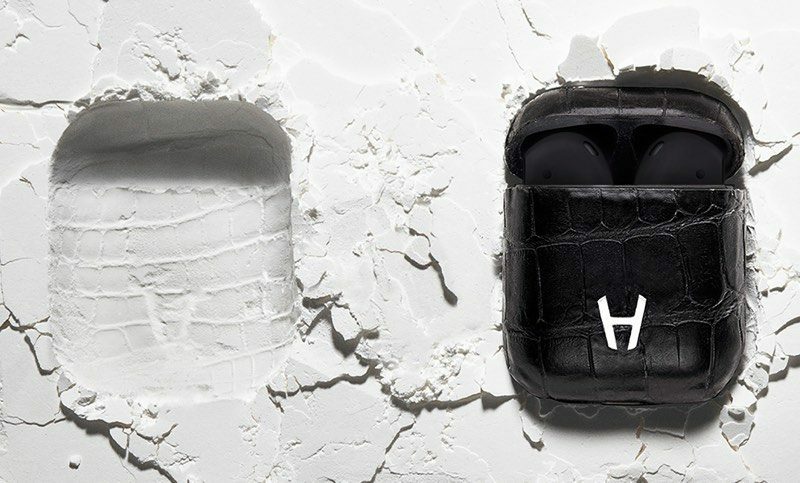 All of the Hadoro AirPods charging cases feature an unassuming "H" emblem at the front made from stainless steel, and the alligator leather exterior of the charging case does not interfere with normal operation. 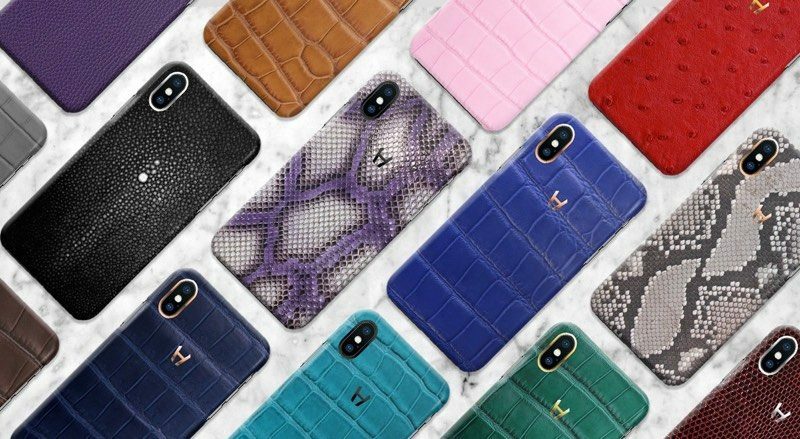 If you want to go full-on fancy, Hadoro also sells matching alligator leather iPhone cases and Apple Watch bands, as well as iPhones and Apple Watches made from custom materials. We have one set of alligator leather AirPods to give away. To enter to win, use the Rafflecopter widget below and enter an email address. Email addresses will be used solely for contact purposes to reach the winners and send the prizes. You can earn additional entries by subscribing to our weekly newsletter, subscribing to our YouTube channel, following us on Twitter, or visiting the MacRumors Facebook page. a Rafflecopter giveawayThe contest will run from today (May 15) at 11:00 a.m. Pacific Time through 11:00 a.m. Pacific Time on May 22. The winner will be chosen randomly on May 22 and will be contacted by email. The winner will have 48 hours to respond and provide a shipping address before a new winner is chosen. Several comments regarding the ethical issues surrounding the use of animal skins in products have been removed. If you would like to discuss that topic, please start a thread in the Politics, Religion, and Social Issues forum. Nice looking case, by the way. But $705 is a crazy amount of money to pay for this (assuming you buy one, rather than winning the contest). Seems a bit over the top for an earbud case, especially one that is pretty much disposable once the batteries die out. But then again, I suppose that is the intended demo. Probably would match well with those multi-hundred jeans that look like Swiss cheese or have faux mud stains. Ah, high fashion. Everything's got to be "luxury-ated" these days, doesn't it. Seemingly it's the way half the planet's workforce make the other half the planet's workforce pay exorbitantly multi-times the price for basic goods. Hahaha! Alligator leather seems suitable for other things, not the AirPods case. The glossy white one looks nicer.